Why Do Dogs Have Such a Keen Sense of Smell? than we do, but we are often unaware of how big a difference this is. Just as our sense of sight helps us define our world view, the sense of smell is pivotal for a dog inunderstanding the world around him. How different is a dog’s sense of smell from a Human? While the sense of smell is possessed by both the humans and dogs, compared with the level of sensitivity of this animal’s nose, we might as well not be in possession of this sense. Based on the breed, the dog has a sense of smell that is 10,000 to 100.000 times more sensitive than that of a human. Smells tell dogs stories. Your whole body carries pheromones that become identity signatures for the dogs. Just by sniffing you out they can distinguish your gender, your diet, the things you came in contact with etc. Not only this, they can even smell your emotions. Fascinating, right? But it’s actually quite true. Our fight and flight hormone, adrenaline, can actually be sniffed out by the dogs. So if you anxious, afraid or even sad your dog will be able to tell. Sowhile smell adds another dimension to our world, it makes up the entire world for our dogs. What makes their noses so difference from ours? What is it that makes the dog’s nose so different from a human’s? It is the unique set-up and structure of this organ. When we inhale, the same passage takes up both the air and smell. For dogs however, a flap of tissue directs the air and smell through different channels. This is also the case for the process of exhalation. While air is breathed out, the dogs can retain the smells within their nose to more effectively process them. The amounts of sense receptors present in a dog are also much higher than that of humans. Compared to the 5 to 40 million olfactory sells of human, dogs have over 230 million! Hence the difference in thelevel of sensitivity of smell for a human and dog can easily be gauged by this figure. It’s not just the structure and make-up of a dog’s nose that gives it its amazing sense of smell. The brain of a dog is also structured to help it extract the best out of its structural differences. They use their brain 40 times more for identifying and processing smell than humans do.They are often called “Blood Hounds” because they can smell a small bit of blood and then guide searchers to the prey. How can this ability help out humans? The amazing sense of smell of dogs has been used and it still used by many security agencies. These agencies have trained the dogs to become their important partners in sniffing out crime. From bombs to drugs, these dogs can practically sniff out anything. Their ability also makes them the ideal counterparts for a rescue operation where the smelling sense can become a guiding tool to follow a trail and search out individuals. If you ever have a loved one lost in the woods,you will be be very grateful for the search and rescue dogs keen sense of smell. 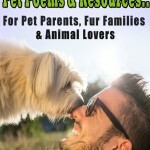 Author and co-owner of Veteran Owned Business Animal Human Connection, Judy Helm Wright is also a Pet Grief Coach. You will want to join this community of kind, thoughtful people who want respect for all creatures. Sign up today at www.AnimalHumanConnection.info You will be glad you did.